Gary grew up in Palm Desert California working at his family’s successful construction business. This is where Gary learned the importance and value of Customer service and Family Values. Being a bit of a perfectionist himself, Gary always ensures that he is providing his buyers with the best possible experience by matching his buyers with homes that meet their specific needs, as well as giving his sellers the highest and most professional level of marketing. Gary prides himself on providing his clients with the highest level of customer service and prioritizes their needs to ensure they are receiving the level of satisfaction that they deserve. Every client is treated like family. Gary’s core values are built around integrity, work ethic, and attention to detail. 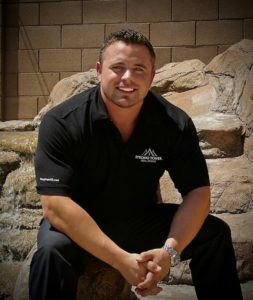 Gary is a full time Realtor licensed in Arizona and California. He understands that purchasing or selling a home is one of the largest financial decisions that someone will make in their life time and loves helping others achieve their real estate goals and dreams. Gary believes that the best part of being a real estate agent is seeing the excitement in people when they first open the door to their new home “Helping people better their life is the number one priority” is what he says. Gary moved to Phoenix from California to attend Arizona State University where he studied Kinesiology and business Marketing. While at Arizona State University he met the love of his life Alexis, who is a local kindergarten special education teacher. They enjoy traveling, boating and going to the lake. If you have any questions about my real estate services, or how I can assist in making your dreams of home ownership a reality, please do not hesitate to ask. I look forward to working for you!